I’m looking at the River Kwai in Western Thailand right now. It’s just about sunset, but there are also some threatening looking clouds moving in from the south, which could mean a big rainstorm tonight. I’m writing in the shelter of a gazebo that sits on the river bank. I really couldn’t imagine a lovelier place to be this evening. I left the states and headed in a general “Asia” direction to see what was out there on the other side of the world. I didn’t have too many concrete plans, but a pretty good life fell right in my lap. However there are endless reasons people leave the West and move to the East. Some are looking for adventure, while others just want a change of pace and or scenery. The warm weather is a big draw for those tired of winter snowstorms or the U.K.’s constant grey drizzle. Professionals young and old choose to exercise geographic arbitrage to make their money go further. Additional reasons include cultural fascination, love of travel, studies, romance, or economic opportunity. I’ve visited a few cities in South East Asia so far. I’m making my first ever pilgrimage to Bangkok tomorrow. Expats, travelers and tourism experts pretty much agree on the best cities in Asia to live for economic and employment opportunity, convenience, entertainment, overall lifestyle satisfaction and affordability. Other criteria include the availability of Western style amenities and the ease of visa processes. So we’ll talk about those first, then I have some other suggestions that might appeal to you too. Economic and employment opportunity: Singapore is rife with banking and manufacturing opportunities, which means higher earnings for expats than in other cities. Convenience: The Singaporean city-state/ island is very close to many other Asian countries for ease of travel. It’s also multilingual: Chinese, Bahasa Malaysia, and English, among other languages, are spoken there. It’s got stellar public transportation, a high living standard, and excellent health care. Entertainment and overall lifestyle satisfaction: Cultural diversity and a high quality of life make Singapore a top city. Availability of Western style amenities: Both education and housing are reported to be very good quality. Ease of visa processes: Neither a tourist nor a business visa are required in Singapore. Affordability: Singapore is one of the most expensive cities to live in Asia. One of the only things you can get cheap here is street food at hawker stalls. For those in finance or other high paying professions, you can still live slightly more comfortably than you can in the West. Economic and employment opportunity: HK maintains an independent political structure from the rest of China. It’s a big banking center, with a firm grip on international trade. This results in a very free economy with low unemployment rates. Convenience: Hong Kong boasts an international airport and great transportation systems. Entertainment and overall lifestyle satisfaction: Though the weather is hot and humid (are you seeing a pattern here?) 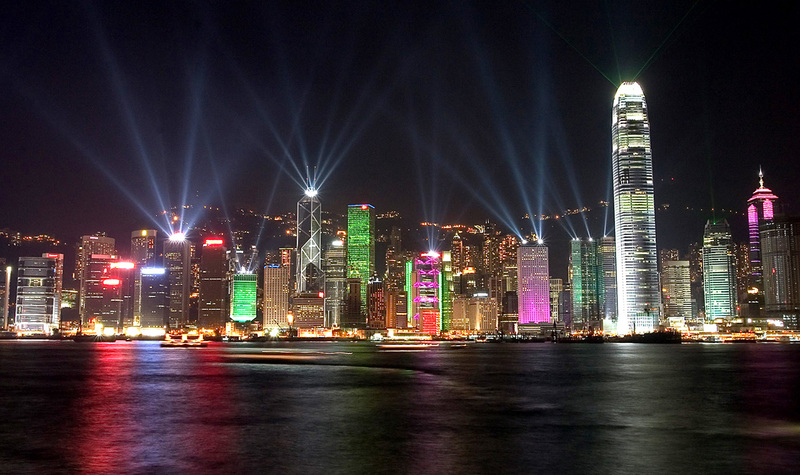 HK has a great night life, nearby beaches, and diverse cuisine. Availability of Western style amenities: The large expat community ensures that many home comforts are widely available. Ease of visa processes: The Hong Kong visa requirements vary for each type of entry. For example, to get a professional employment visa, the process is quite detailed, but provides a 12 month visa. Affordability: Hong Kong is just about as pricey as Singapore, but may offer more diverse types of employment. Economic and employment opportunity: Kuala Lumpur has become a significant player in the world economy, from its foreign banks to real estate, and insurance. Convenience: This very modern capital of Malaysia is highly industrialized and comparable to western metropolises like London or New York. Entertainment and overall lifestyle satisfaction: Cheap yet cosmopolitan, rainy and hot most of the year, KL gets a report of high satisfaction from most expats who settle here. Availability of Western style amenities: Plenty, and cheaper than you’ll find them at home, except for alcohol. Ease of visa processes: Malaysia grants 90 day visa upon entry for most Westerners. For those looking to make Kuala Lumpur their permanent home, Malaysia offers a 10 year social visa. Additional permits must be obtained for business and employment. Affordability: KL is very cheap, as is the rest of Malaysia. Dinner at a local joint or street cart will run you $2-$3. Economic and employment opportunity: Most work for expats in Cambodia today revolves around not for profit groups and teaching English. Convenience: Most people get around in taxis ($10 a day or more), or invest in a motorbike or bicycle. Be careful- driving in SE Asia is, in a word, insane. Say goodbye to traffic lanes, and wear a helmet. Entertainment and overall lifestyle satisfaction: Cambodia is making her way out of her brutal recent history but poverty is still high. If you and your wallet like a simple cheap life, it’s the place for you. You can eat cheaply for $1-$2 a meal, and for even less from street stalls. European style food will cost more (between $3 and $10). Alcohol may hurt your budget a little bit. Availability of Western style amenities: These are increasingly available as more westerners move in, but there is still no Starbucks, which might be a good thing. Ease of visa processes: Getting a business visafor Cambodia is easy: Just pay $25 at the border. Then look for a job or buy a business such as a restaurant or bar. It costs $250 to renew each year. Affordability: Prices have risen due to the continuing arrival of individual ex pats as well as international NGOs and educational organizations. You can get by on $500-$600 per month living simply and saving. Economic and employment opportunity: Similar to Cambodia and other South East Asian countries. There are some opportunities in NGOs and teaching in the Philippines. Convenience: Philippines is still a relatively poor country, so the infrastructure is not well developed. Ex pats tend to report overall satisfaction, though life may be simpler than in more industrialized cities. Entertainment and overall lifestyle satisfaction: Food and drink are cheap, with a standard of living to match. Availability of Western style amenities: More than their used to be, and increasing year to year. Ease of visa processes: Philippines offers a resident retiree visa for people as young as 35 who can prove they have savings in the bank. Affordability: You can live for $500-600 per month on a tight budget. Runners up for great affordability include Bangkok, Chiang Mai or islands like Koh Samui in Thailand. Some parts of the country are still dirt cheap, but in tourist dense spots you’ll need at least $600-$ 800 per month. Even smaller cities in Thailand have western style supermarkets for convenience. Thailand scores low in the visa department, however. Unless you teach English, own a business that comes with a work permit, or marry a Thai, it can be tricky getting a permanent visa until retirement. Unlike the in the West, it is actually cheaper to eat out in many Asian cities. So there’s a way to save money even if your rent is a bit higher (like in Singapore or Hong Kong). On the street, you can eat like a king and sample foods from a night market as you stroll along and not exceed $3-$4. Teaching English in Asia is a perennial option for young and old alike. You will make more in Hong Kong than Phnom Penh, but you can spend less in Phnom Penh, so you might still be able to save. Those with higher degrees and qualifications may apply to teach at an International School and earn twice as much. Many Asian cities all have the overall advantage of being less expensive than Western cities, though obviously some can still be quite expensive. Depending on the job or lifestyle you’re after, some cities will fit your budget better than others. As a fairly frugal western female freelancer, I am obviously going to be drawn to different cities and attractions than a retired European male entrepreneur. One of the biggest but least tangible factors to consider in moving from West to East is cultural acclimatization. Many westerners experience culture shock in one form or another. This can range from mild bemusement to outright frustration. I strongly recommend that you visit one or more of these places to get a feel for the lifestyle there before settling down. KL is comparable to London or Paris? Have you actually ever been there? It is the poor man’s Singapore at best, with weeds poking through the cracks in the downtown streets. In Asia, only Tokyo is comparable to London or Paris, with HK and Seoul close behind. And this is coming from someone who actually has lived in Asia for 14 years.